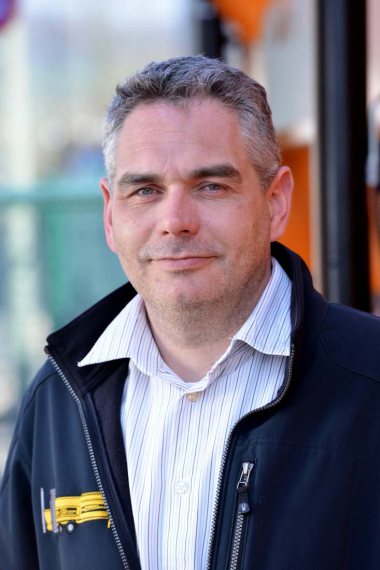 Internationally positioned, the family business from Dreisbach/Germany offers solutions across all sectors and a broad product portfolio. 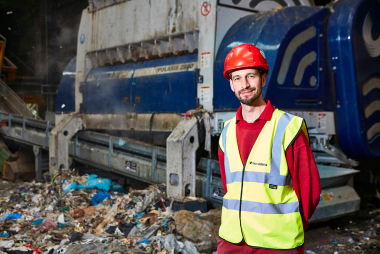 Today, HAAS can be called as one of the worldwide, recognised specialists for mobile and stationary recycling plants, with distinction. In focus and the highlight of this year’s trade show, on the B6 stand is the newly developed mobile high-speed shredder; the ARTHOS 1600. The technology within, which has been used in stationary operation for many years, will be mobile, on tracks and will effortlessly perform, even in the most difficult environments. 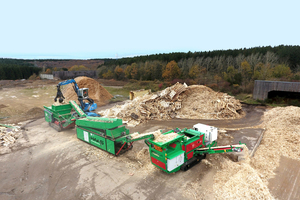 In combination with the Slow-Speed TYRON Shredder, the innovation from Dreisbach is capable of shredding waste wood, green waste, RDF and PVC, at a size range of between 30 - 150 mm. Typically found contamination in the input material is automatically separated and rejected by the ballistic chute developed by HAAS. The system has proven itself and is in combined operations for several thousand hours at SUEZ, Remondis, STOBART Energy and Zollikofer; naming a few. The same applies to the second innovation. 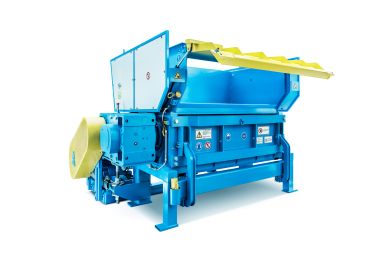 The machine can be opened hydraulically, making access extremely user friendly and the operator has the possibility to change the screen basket within a very short period of time and can thus vary the size of the output material in a timely manner. From the booth in hall B6, one can go directly to the outdoor area and the VDMA demonstration displays. 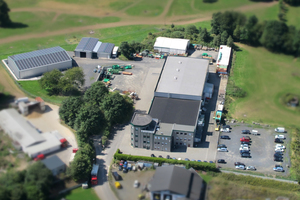 During a total of eight live demonstrations the machinery and plants on the VDMA area process around 400 tons of biomass. 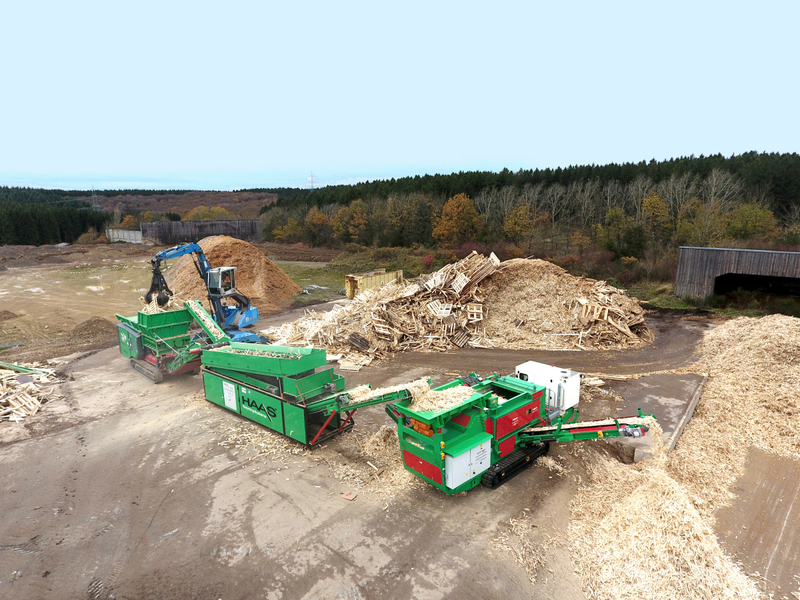 State-of-the-art screening plants and shredders process trunks, waste wood, green waste and even whole tree roots. HAAS is represented for the first time in said demonstrations with three of their machines. Exhibitors can witness the performance of the HAAS screening machine; HSS-M 6000 and two HAAS TYRON pre-shredders during the live demonstrations. 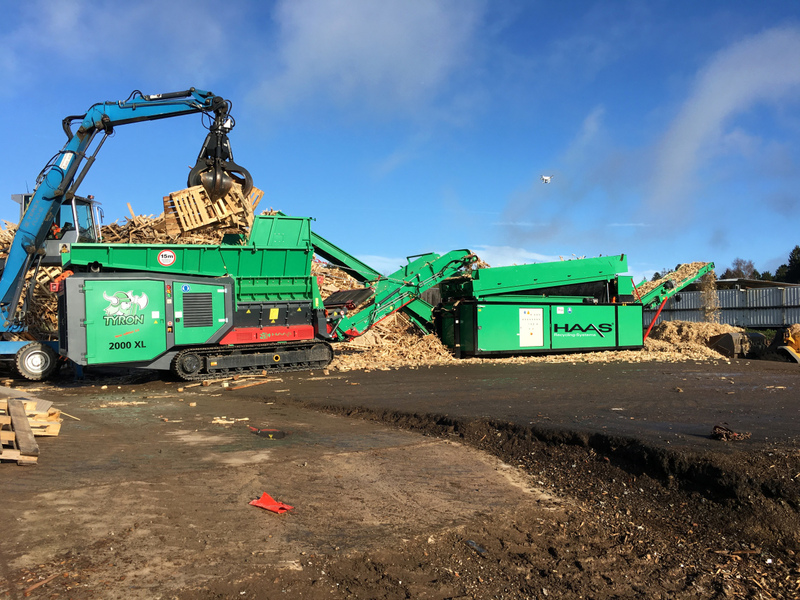 The star screen HSS-M 6000 takes over the screening of pre-shredded biomass from green waste, roots and waste wood. The shredding work is carried out by a TYRON 2000 XL 2.0 prior to the screening machine. The screening of a defined useful fraction with simultaneous return of oversize to the shredder is the task of the HAAS screening machine. 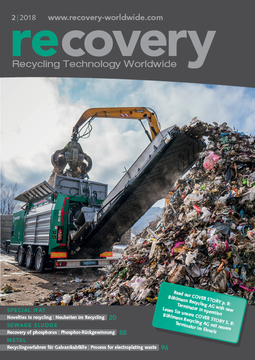 A second TYRON 1500 2.0 will process green waste. However, HAAS is not only of major significance in the sector of shredding and screening technology. 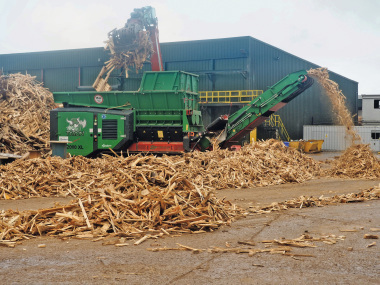 The company constructs, produces and delivers worldwide complete waste wood recycling lines for biomass plants and the chipboard industry. 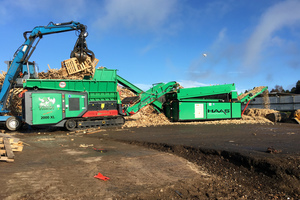 Complex plants for the production of high-quality Refuse Derived Fuels (RDF) from household and commercial waste completes the enormous and progressively renowned portfolio of HAAS.